Our last day in Japan we had the morning to have breakfast and say goodbye to my parents. 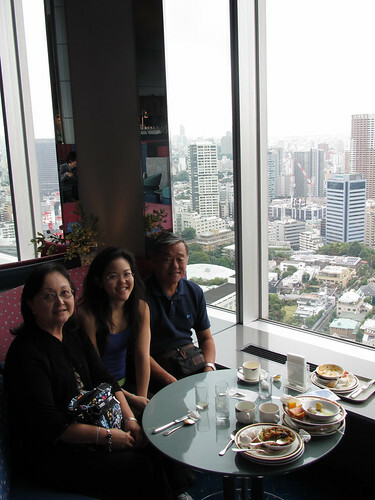 We went to the top floor of our hotel for a continental breakfast and great view of the city. Food was just ok… curry, eggs (not very good mind you), bacon, some fruit and what not. After breakfast i had a couple hours to kill and decided to go shopping. I found a little mall area and bought a bunch of jewelry and food snacks. There was a really small vendor right by the door selling these Peek-a-boo Cakes. OMG sooo good! 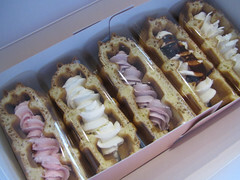 They are like waffles with flavored whip cream in the middle! I ate 4 of them while waiting for the plane at the airport. 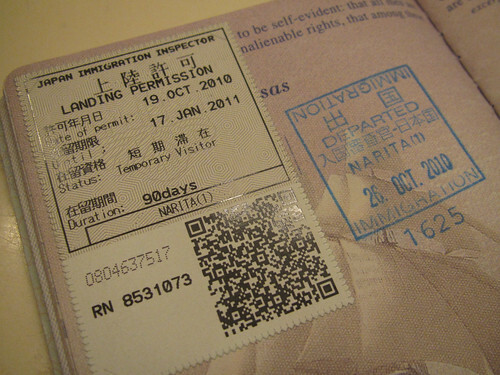 Here is a pic of our passport stamp! I forgot to take a photo of all our yen. 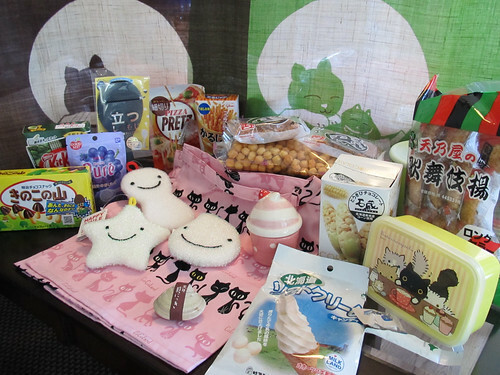 Here is the snacks and Japanese dolls i brought back for the work crew. 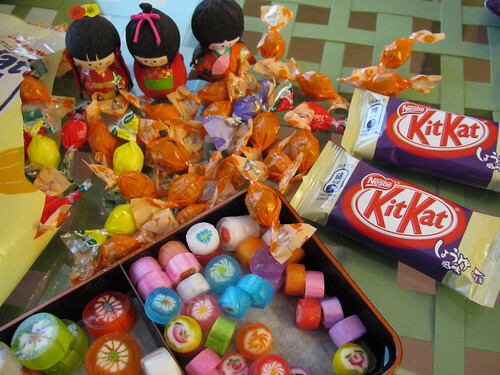 Shoyu (soy sauce) kit kats anyone? They actually tasted good, it was like white chocolate with a little savory taste. Here is the stuff i bought while in Japan. Lots of snacks and kitchen items. All cute of course. Lots of cat things. 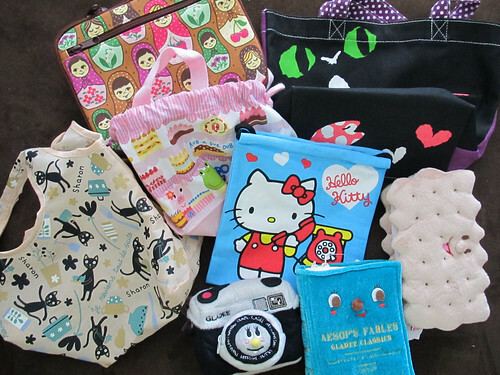 And i bought a lot of bags for my lunch since i like to bring homemade lunch everyday to work. Look at the camera bag i bought! Hehehe, so cute!!! We had a wonderful time in Japan and i would not mind going back one day!